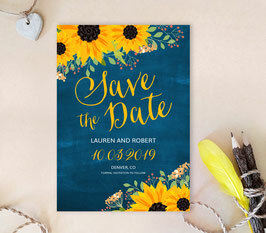 With your wedding date all set, it's time to announce all the details to your family and friends! 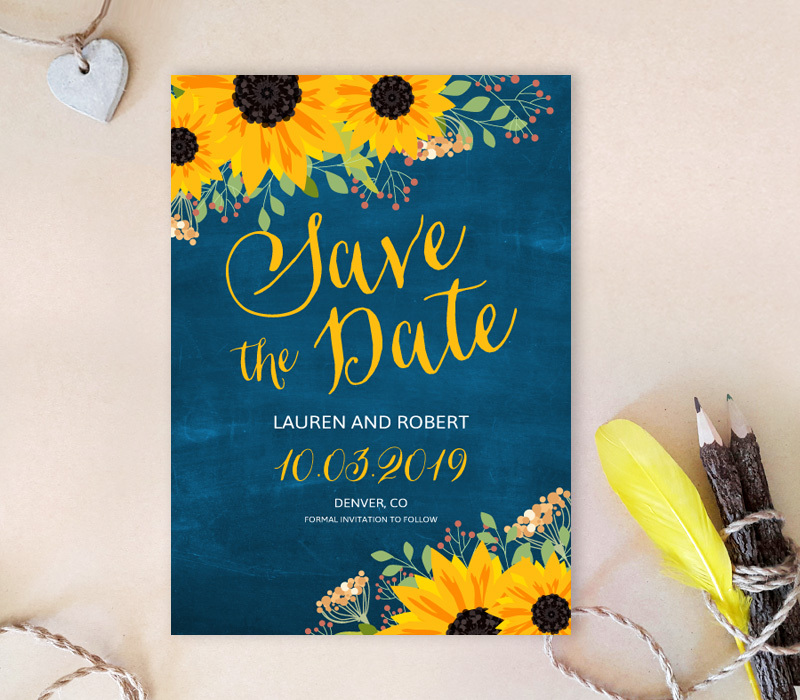 Our cheerful Sunflower Save the Date Cards feature a blue chalkboard style background finished with bright yellow sunflowers. Every card is printed on premium card stock and features a casual font. (30 cardsis a minimum order).